With our HD property video tours shot in a distinctive movie style, your home is going to look the best it can be to potential buyers online, on smartphones and on tablets wherever they are. With a range of features and easy to understand packages to suit your home, we have a property video tour just for you whether you are a home owner, an Estate Agency or a property developer. 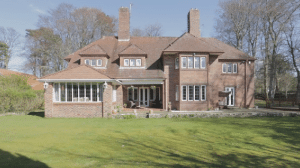 Why not take advantage of your existing property photography? Our low cost property slideshows take your traditional still images and add captions, music, voice over narration and motion effects to keep the viewers interest firmly fixed on your property. Enjoy many of the benefits of video footage without having to re-shoot a property again using video equipment. 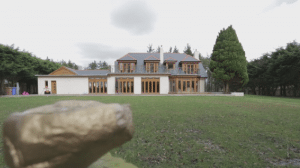 A property video tour of residential home in Alloway, Ayr. 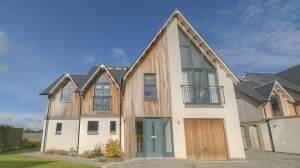 A property video tour of residential home in Symington, Ayrshire. 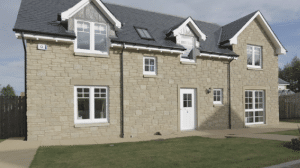 A property video tour of new build showhome in Penicuik, Midlothian. How long does it take to shoot a property video tour? A Bronze tour would typically take up to one hour to shoot, Silver up to about one and a half hours, Gold around 2 hours and Platinum 2 or more hours depending on what is required. A scene is single short video clip that forms part of the overall property video. For example a single video scene could be a camera pan around the garden, moving through a doorway into a room, panning around a room. Individual scenes are put together to make the full property video that you see. How do I choose the correct video tour? Use the room number count as a guide to help you pick the correct tour – include all of the rooms or spaces you think you would want to include in your video. That includes living, dining, kitchen, bedrooms, bathroom(s) and garden(s). We will talk you through exactly what you need from there. The number of scenes indicates the number individual video clips that typically might be required – note that one room may require more than one video clip to capture the rooms features and present it at its best. As an example the Cruden Homes Orchard show home had 11 rooms/spaces and 27 single video scenes. Due to the larger number of scenes this was a Platinum tour. How does a voice over work? Using a professional voice over agency you add an extra dimension to your video. You or your letting/estate agent would normally be expected to provide a script which would be recorded by the voice over agency and included in your final video. What do I need to do to prepare for a video shoot? General guidelines would include making sure all lights are working, the property is tidy and presented exactly how you would like to have it seen. Specific guidance can be given prior to booking a shoot.